One of the research projects I will not be working on all summer is my long-labored book, The Isthmus of Corinth: Crossroads of the Mediterranean World. I put the final touches on the manuscript during my fieldseason in Cyprus (with the Pyla-Koutsopetria Archaeological Project) just in time for the deadline with University of Michigan Press. I’m happy to report that the manuscript is now out of my hands at last and will enter the production queue with a scheduled publication of Spring 2016. That’s all good news of course since this project required a full sabbatical to complete along with the better part of my summers for the last three years. I’ve updated the project page to reflect the final state of the manuscript. There may be small changes in the next few months, but nothing major. 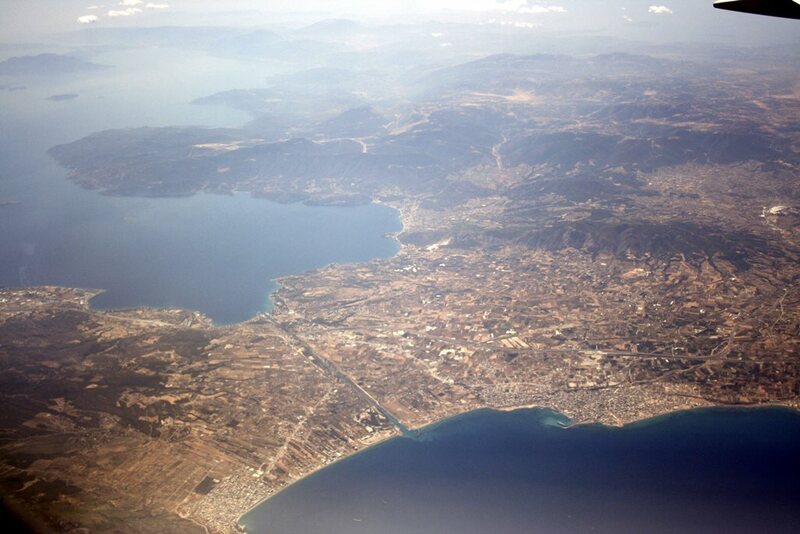 The Isthmus of Corinth: Crossroads of the Mediterranean World is a study of the relationship of local, regional, and global interactions in the Roman Mediterranean. Its starting point is the ancient and modern view that the land bridge was a constantly connecting and essential landscape throughout Corinth’s history that altered its economy and character in consistent ways. From the destruction of the Greek city by the Romans to the end of antiquity, historians, poets, orators, and preachers characterized Corinth as an exceptional kind of maritime city made prosperous and powerful from its crossroads, facilities for traffic, commercial markets, pilgrim sites, naval fleet, and decadent pleasures. The ancient consensus that a timeless landscape determined the history, wealth, and character of the city, was adopted almost wholesale by European travelers and the first classical and biblical scholars of the 18th-19th centuries. The book argues against the timeless view of the Corinthian Isthmus and shows instead how the landscape changed frequently in its connection to a wider Mediterranean world. The chapters of the work survey the extant Greek and Latin literature for the Isthmus and synthesize archaeological evidence, especially the data from the Eastern Korinthia Archaeological Survey. The chapters begin with the sixth century BCE and step in chronological increments to the fifth century CE. Outlines the problem of the essential or timeless view of the Corinthian Isthmus. Makes the argument for contingency. Surveys the physical landscape of fortifications and settlements that the Romans encountered in the late third century BCE. Outlines the physical developments of the regional structures from the archaic to Hellenistic periods, with special attention to the Eastern Korinthia Archaeological Survey data. Surveys the central place of the Isthmus in the interpretation the Roman destruction of Greek Corinth and the great catastrophe of the loss of Greek freedom. Analyzes the changing historical significance of ship portages over the Corinthian Isthmus in antiquity. The center of the chapter is the remarkable portage of the orator Marcus Antonius, grandfather of the famous triumvir, in 102/101 BCE. The chapter contextualizes Marcus Antonius in light of the frameworks of Roman aristocratic values and imperialism during the interim period. Studies the important place of the Isthmus for the first century of the Roman colony’s history. Offers a new interpretation of Strabo’s influential interpretation of the landscape. A study of the meaning of canalization in antiquity, and especially the Emperor Nero’s failed canal effort. Situates Nero’s enterprise within the particular imperial frameworks of the 50s-60s CE. Also discusses the long-term effects of the canal enterprise on the landscape during the later first to early third centuries CE, including settlement documented in the Eastern Korinthia Survey. A study of the fragmentation of the essentializing conception of the Corinthian Isthmus in the later third to early fifth centuries, including the later Roman transformation of the panhellenic sanctuary at Isthmia. I’ll be posting more on this project in the coming weeks. Stay tuned.